Aetna International, the international arm of Hartford, Connecticut-based, NYSE-listed health insurance giant Aetna, said it has signed a strategic partnership agreement with Humanis, a French insurance group with some 700,000 corporate clients which currently insures around 10 million people. 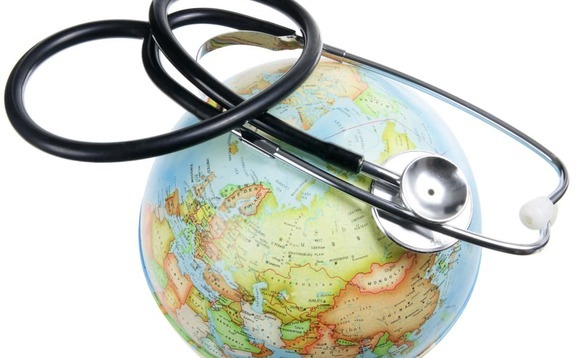 In a statement, Aetna International said the arrangement was aimed at addressing existing “challenges to global healthcare”, and would “increase access to global healthcare solutions for large corporations and French expats around the world, while also expanding Aetna International’s already-growing global reach”. Under the deal, Humanis’s existing members will be able to access Aetna International’s medical network and insurance options, which would help Humanis members living in the US to better control their healthcare costs, and those in the United Arab Emirates to access healthcare that conforms with that jurisdiction’s new regulatory requirements. “Likewise, the partnership will increase Aetna International’s footprint in continental Europe with an expansion into the French market, guided by Humanis’s local expertise and understanding of the French government,” Aetna International said, in a statement announcing the new agreement. A key focus of the new partnership is existing wasteage and inefficiency that Aetna International says exists “across all parts of the healthcare economy”. Meanwhile, under the link-up, customers of both insurers will enjoy “an easier customer journey through a single sign-up process, a single point of contact, and overall consistency in the services offered”, according to Aetna. Aetna International chief executive Richard di Benedetto said the arrangement fit Aetna’s strategy of providing “local services to our members worldwide, while adapting to national and regional disparities”. As reported, Aetna International’s parent, Aetna Inc, is in the process of being acquired by the parent company of the US-based CVS drugstore chain. The deal, formally announced on 3 December, has been approved by shareholders of both CVS and Aetna, but there has been talk in recent weeks that it could be blocked by regulators on anti-trust grounds. Aetna International, meanwhile, has continued to expand its international footprint, adding a Hong Kong Licence last month, for example, after acquiring a local insurer based there. Last November it introduced a new product designed to accommodate non-US headquartered companies that have, or plan to hire, American citizens who are based in the US. Also last year it unveiled a new business proposition for organisations with more than 1,500 employees overseas, and announced plans to acquire Bupa Thailand. Based in Paris and created in 2012 out of existing entities, Humanis is a non-profit entity similar to a mutual organisation. It is unrelated to Humana, a Kentucky-based, New York Stock Exchange-listed health insurance company.